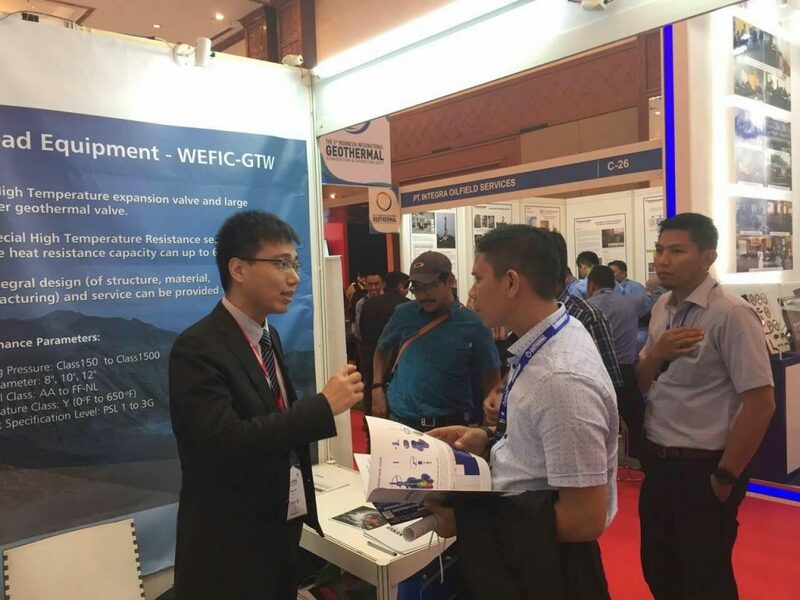 Singapore WEFIC Ocean Technologies, exhibits at the 5th Indonesia International Geothermal convention and exhibition, which held in Jakarta, Indonesia during August 2nd –August 4th 2017. 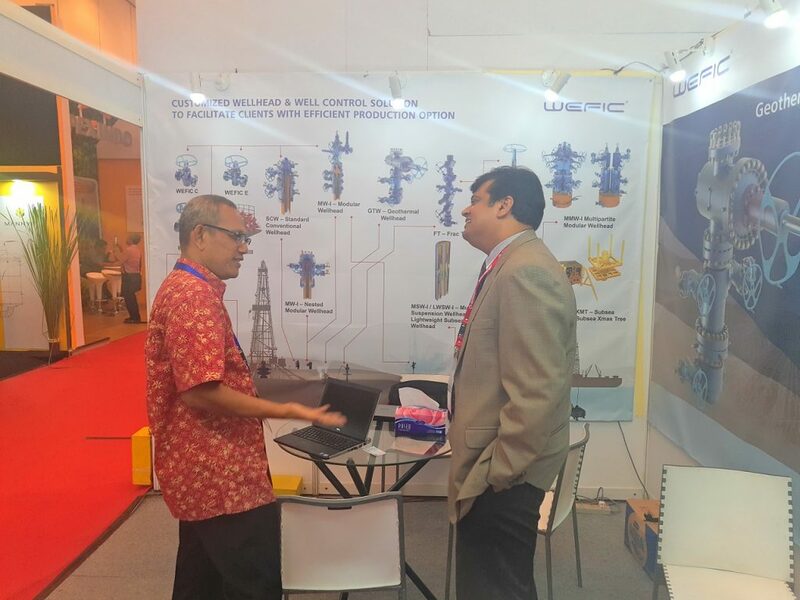 The show was inaugurated by the guest of Honour, The Vice President of Republic of Indonesia; Mr Jusuf Kalla.The event was well balanced and certainly unique, as the exhibitors mostly comprises of Geothermal Energy companies (operators), Drilling contractors and suppliers. This makes the event a highly focused show. 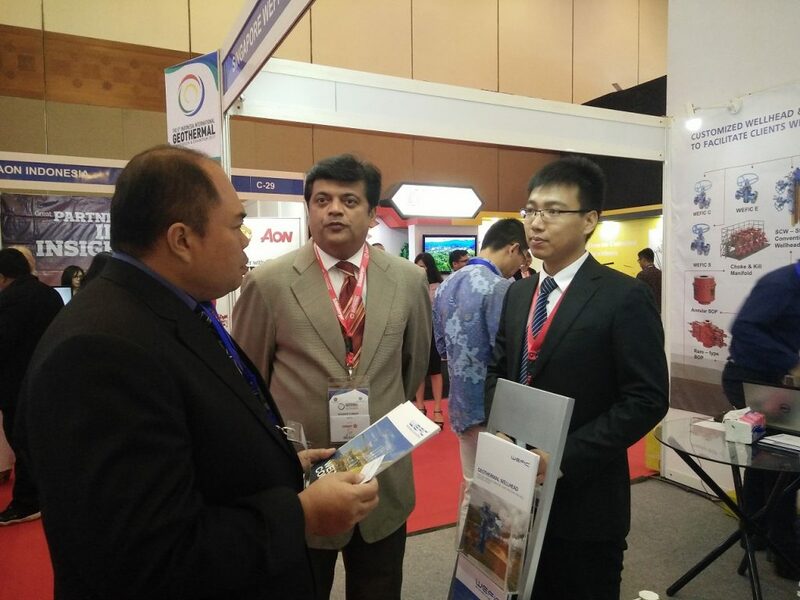 Whereby, both client and suppliers were able to interact and gather valuable information at the same time. The show is endorsed by the International Geothermal Association. It has been an uphill task for Ministry of Energy to meet the demands of electricity requirements in Indonesia, even in the rural areas. Geothermal energy, is an ideal solution to meet this growing demand. Coal Energy certainly have dominated the energy sector in Indonesia for centuries due to the cost of coal as a cheaper alternative. The Ministry of Energy along with the current government are spearheading plans to move towards “Green Energy” and Indonesia quest to contribute at least 40% of the world’s output in Geothermal Energy. The Ministry of energy is working closely with both local and foreign energy companies to lower tariffs to move projects quicker and to make it more lucrative for companies invest in Indonesia Geothermal Energy sector. And also introducing Non-tendering system, where it allows companies to volunteer and identify potential areas. Energy companies, who are willing to drill 3 or more exploratory wells. The block will be theirs to develop and produce. The exhibitors at the event was dominated by key industry Energy players. 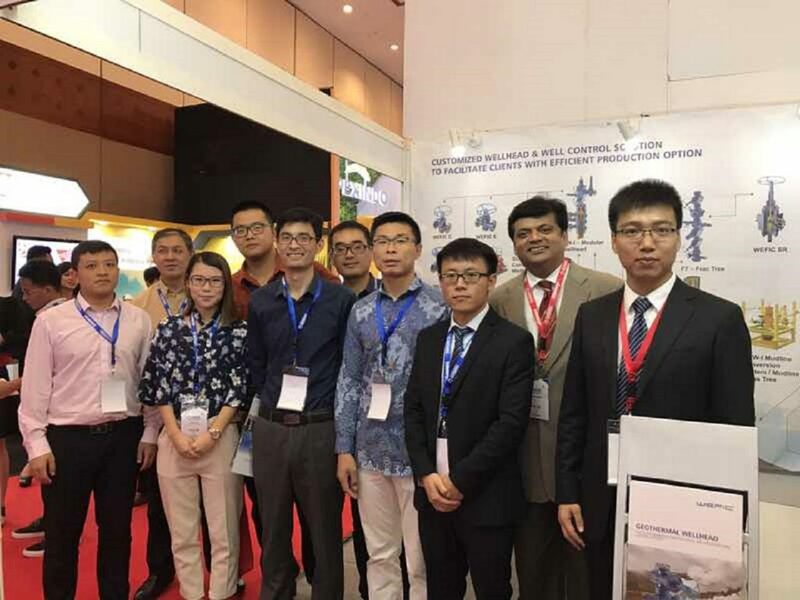 Singapore WEFIC Ocean Technologies, have already establish business links with several key players and are ready to provide the solutions they need. Overall, the opportunities for Singapore WEFIC Ocean Technologies certainly does look positive.